If you play video games for extended periods of time, it’s worth looking into the acquisition of a quality gaming chair. Unfortunately, most of the quality chairs are around the 500 dollar price range. 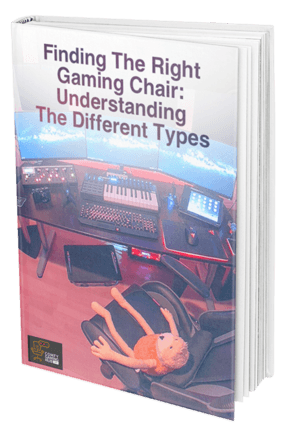 This can be quite a turnoff for potential chair buyers, but just because most gaming chairs are a little too pricey, it doesn’t mean all of them are. 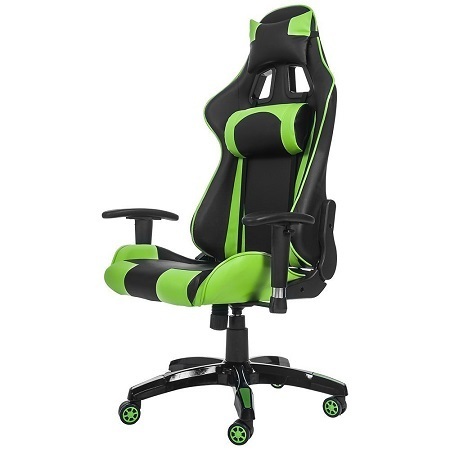 The Merax Fantasy Series Racing Style Gaming Chair is a good example of an inexpensive yet effective chair. Before we review this specific gaming chair, I think it’s important to assemble a checklist of components for a good gaming chair. Comfort & Support - This is perhap the most important thing. You are buying a chair to improve your comfort and posture while you play video games. If the chair isn’t comfortable, there isn’t much point at all in purchasing it. Support is also often underlooked. If you are also a serious gamer, you know how intense a long 8 hour gaming session can be on your back and neck. There should be proper support for your spine as well as your neck. Durability - Your gaming chair will take some heavy mileage. It’s not like a kitchen table chair, your gaming chair will frequently be used for extended periods of time. A chair that undergoes this level of stress for such a long time needs to be durable. These chairs are generally more expensive because they are intended to lost a long time. Also remember that us gamers are generally larger than most, so make sure your chair can support your body. ​Adjustability - Not everyone has the same body and frame. You need a chair that can adjust the backrest, the height, the arm rests, and the back and head support. 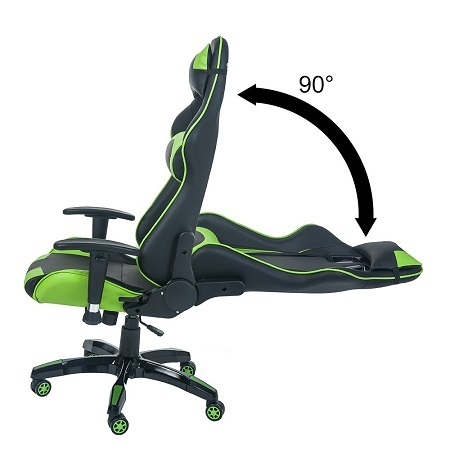 This allows you to slightly edit your chair to perfectly fit your body. It’s almost silly to spend a good amount of cash on a chair that can’t tailor itself to your body. Style - We mean two things by style. Not only do you want your chair to be stylish but you also want a particular style. The executive chair style is ideal. 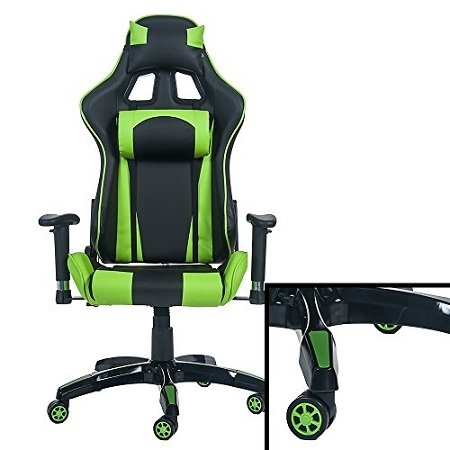 You want something that looks like a gaming version of an office chair. Bean bags and floor rockers may seem appealing but they aren’t the best for your back. If a chair fits all four of these categories well, then chances are this chair is good enough. Most chairs that fit all of these categories are fairly expensive. The Merax Fantasy Series Racing Style Gaming Chair is an extremely affordable option that meets these standards. Adjustable Support Pillows - There is a lumbar cushion as well as a headrest pillow. The cushion can slide up and down to fit your needs. It can also be completely removed if needed. Padded Armrests - The armrests are padded and comfortable. They can be adjusted up and down as well as left and right. They can also be completely removed if necessary. ​Reclining Lockable Backrest - The chair can go from 90 degrees to 180 degrees. It can be locked in any position in between. Racing Inspired Wheels - The wheels are better than your standard office chair and roll quietly. The chair comes in many color options. You can choose from red, blue, green, pink, orange, white, and silver. The chair sits at around 150 dollars, but if you buy it in orange for some reason it's almost 200 dollars. For it’s price, it’s not a terrible buy. The chair is well received by the public. It carries a 4.1 star rating on Amazon and gaming chair pro lists the Merax as one of the best gaming chairs of 2016. Starting with assembly, the chair takes around 20 minutes to set up. Not many found any trouble getting the chair assembled though there is an option to pay about an extra 40 dollars for professional assembly. It’s not worth it, build it yourself. The chair is comfortable, but I feel like I am the maximum sized person who could fit in this chair. I weigh about 215 pounds and am 6 feet tall. The chair was comfy, but I was snug. The cushions are good but the ‘adjustability’ felt rather cheap. The chair does not have a metal frame, but that’s part of the reason it is so cheap. If you are on a tight budget and can’t afford to spend more than around 150 dollars, then yes this chair is probably your best buy. It’s comfortable and it feels like it will be able to handle my weight for some time. The arm rests however, felt a little wobbly. They weren’t perfect, but I prefer to remove the armrests completely anyways. Even after a long gaming session I was still comfortable and the internet consensus seems to agree with me. 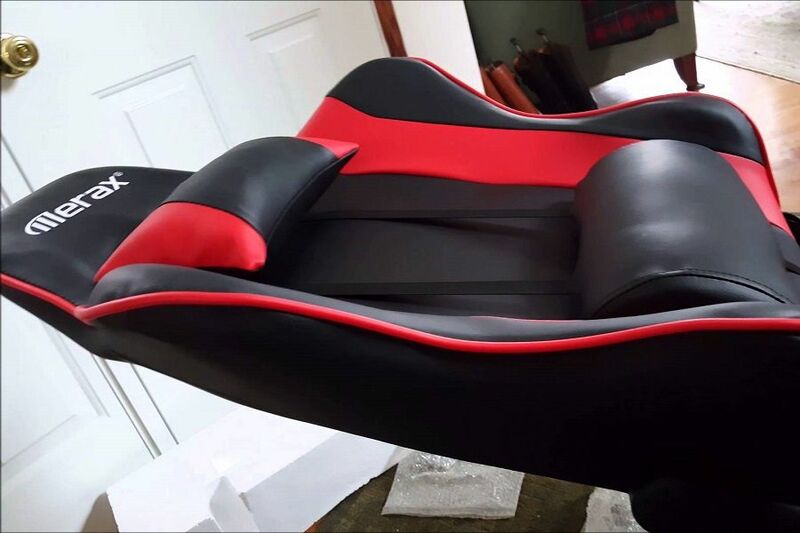 It’s not the best gaming chair in the world. There are sacrifices that had to be made for the chair to fit in its price range. There are better chairs, but not for the same price. 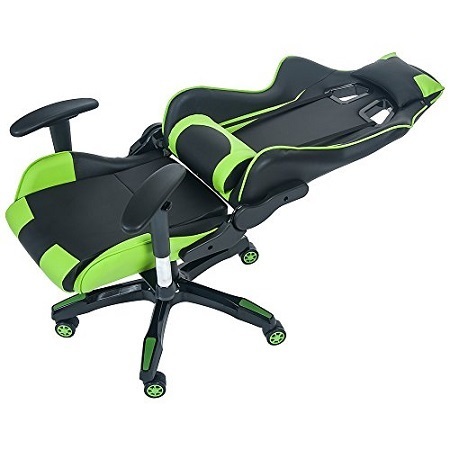 The chair seems to be sold everywhere on the internet, but most places will try to charge you around 200$. Amazon has the best option for price. You can even buy a used option for even cheaper from Amazon. They offer a warranty for defective parts and pieces and the reviews section makes customer service seem amicable. The first question to ask yourself is how much money you are willing to spend. If the answer is in the 3-400 dollar range, don’t buy this chair. There are better more durable options out there. But if you are looking to spend under 200$, and are more so looking for the most cost effective purchase the buy a Merax Fantasy Series Racing Style Gaming Chai. It will definitely be a big improvement from whatever you are using now.